We are committed to working with students in an inclusive and friendly environment and helping them achieve their professional and personal goals. Our program consists of four majors: Data Science, Mathematics, Mathematics Education, and Statistics. Our faculty members are active researchers but our primary commitment is to provide a quality undergraduate education in mathematics and statistics. Small Class Sizes: lower division ~ 37 students, upper division ~ 10-15 students). Strong Regional Internship Opportunities: in both Mathematics and Statistics. Innovative Student Teaching Experiences: including supervision by mathematics faculty, co-teaching, and regional placements. Rigorous Undergraduate Research Opportunities: including conference attendance, presentations, and seminars. Free Drop-in Tutoring: provided for all undergraduate classes offered in the department. The WSU Mathematics and Statistics Department aims to provide superb undergraduate educational experiences to our students. Small class sizes and innovative learning opportunities lead to a high level of interaction between the faculty and the students. Learn more about our department goals. To provide the opportunity for individuals to study, excel in, and appreciate the world of mathematical sciences. To create an environment that encourages new intellectual growth and breadth of understanding for faculty and students and the university community. To fully support and enhance the mission of the university. The Mathematics and Statistics Department is located on the 3rd floor of Gildemeister Hall. 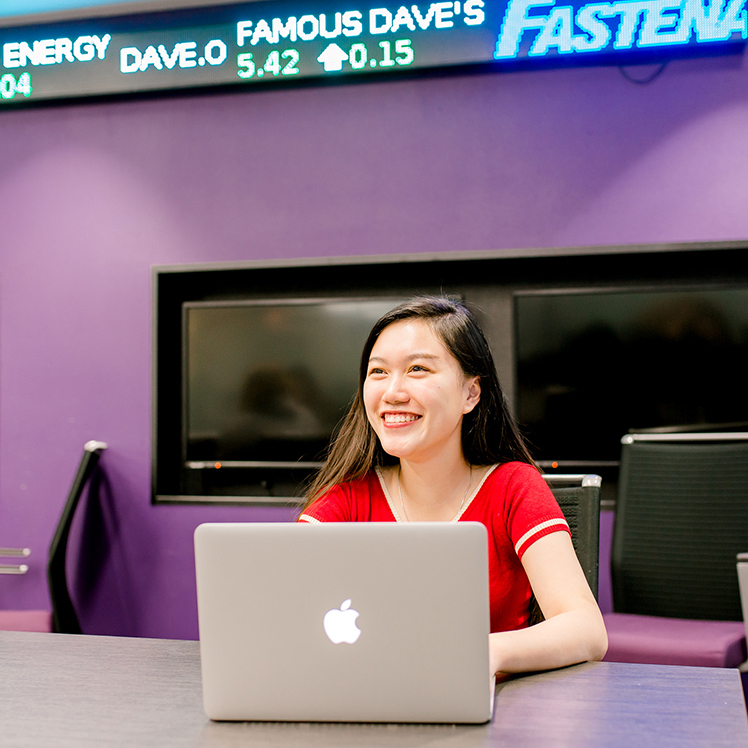 With a lifelong passion for business and technology, Linh Nguyen '18, pursued a major in Data Science and enjoyed "the fact that I can get to know my professors really well due to the small class size."